Last week, Engine 15 Brewing Co. hosted a Vertical Tasting of its annual Imperial Chupacabra Barrel-Aged Russian Imperial Stout, an event which leads into its Seventh Anniversary party and bottle release on Saturday, July 1 at its Jacksonville Beach brewpub. 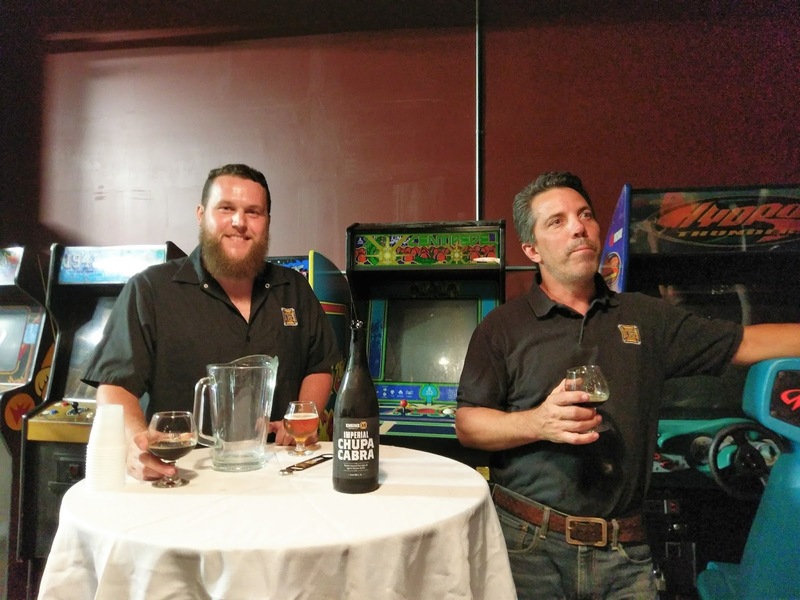 Masters of Ceremonies and Brewery Co-owners Luch Scremin and Sean Bielman imparted some humorous anecdotes much to the delight of the event attendees (picture bourbon barrels so fresh that they contained "charcoal black liquid" in 2014). The pre-anniversary event featured tastings of Chupacabra from 2013, 2014, 2015 and 2016, along with this year's 2017 versions (yes, that last one is plural). 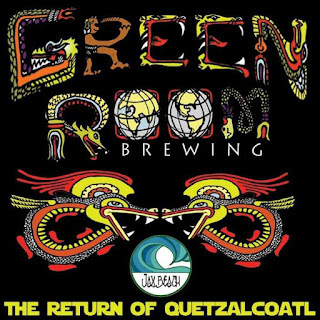 With its laid-back beach and surfing vibe and named after one of surfing's most sought-after wave actions, Green Room Brewing in Jacksonville Beach is heading into its Sixth Anniversary on Saturday, June 17 with a quiet intensity. 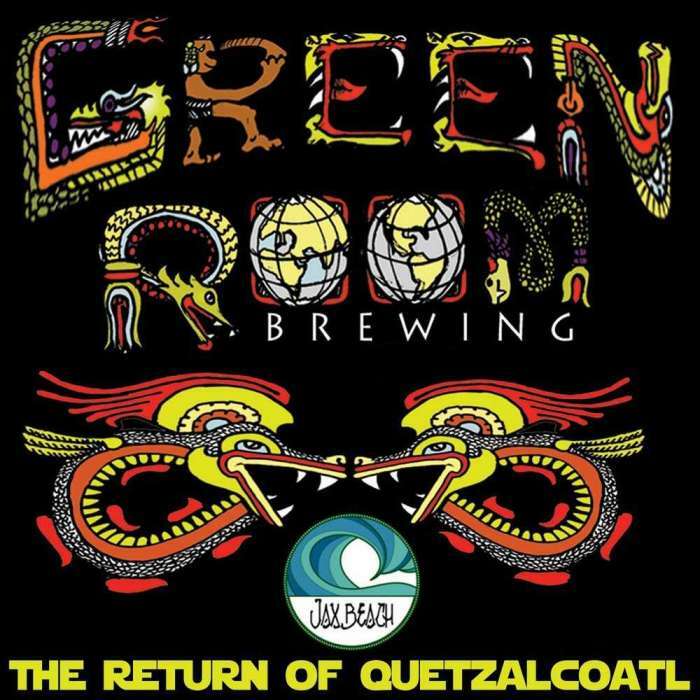 Much like being in the barrel of a wave for surfers, the brewery on Third Street will be the place to be when it releases its annual Secret Spot Imperial Stout aged in Dominican rum barrels for the special occasion. Festivities will begin at noon on Saturday, with limited bottles of the annual anniversary beer available for purchase. The week before Thanksgiving means lots of things. 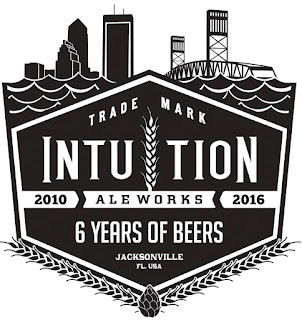 Around the Jax craft beer community, it means Intuition Ale Works hosts an Anniversary Party. And, not "just" a party -- an entire week of beer events leading up to an Anniversary Bash. 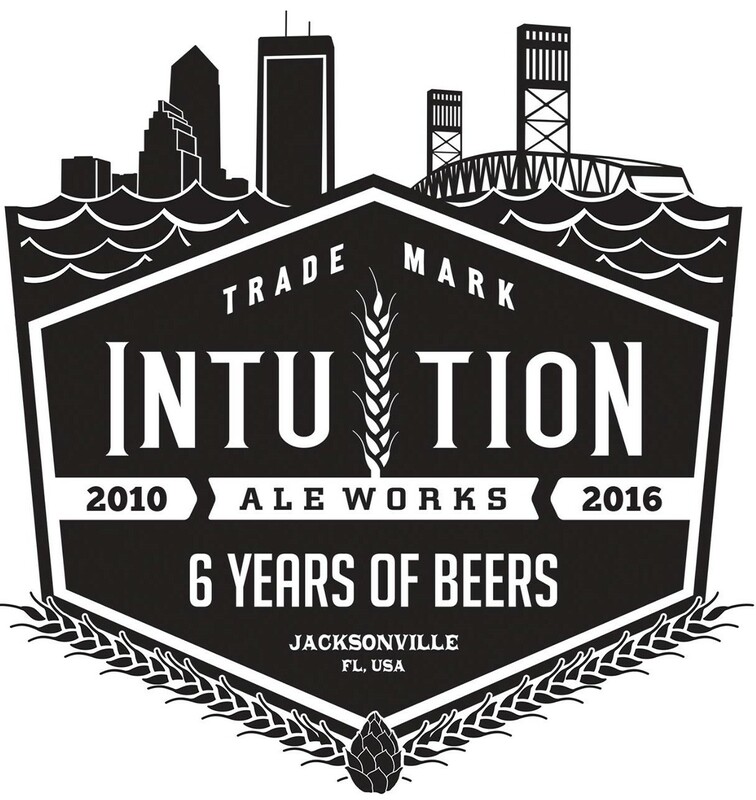 This year marks Intuition's Sixth Anniversary, and the week-long celebration starts November 15. So, mark those calendars and join the party! Hello, Wicked Barley Brewing Company! Jacksonville's newest brewpub and brewery, Wicked Barley Brewing Company, opened its doors to the public today at 5pm with a soft opening. 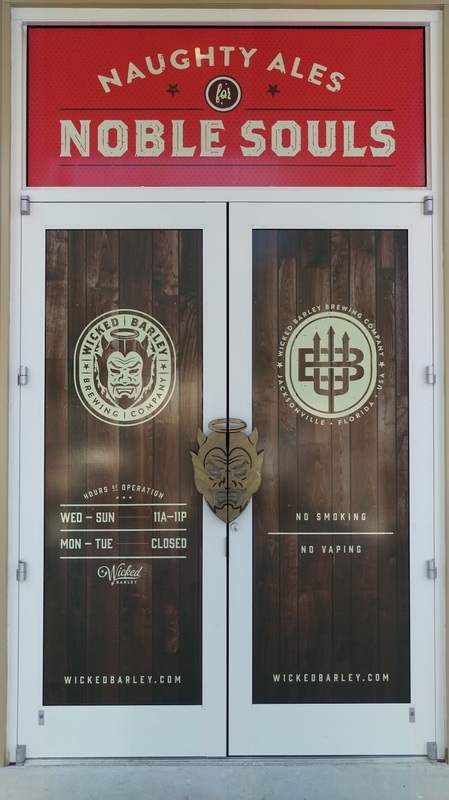 While the full-service kitchen serves its complete housemade menu items, the bar currently features 20 guest taps of beer and cider (temporarily) until the Wicked Barley "Naughty Ales for Noble Souls" are ready to hit the taps. The pub hours on Wednesday and Thursday are 11am-11pm. Friday is a day of preparation for the Grand Opening on Saturday, July 30 at 11am. Around this time last year, I was following the tweets from Asheville, NC as those attending the 2015 Beer Bloggers Conference energetically took to social media to report their real-time accounts of the activities. I noticed a blend of snippets about beer education and beer drinking -- not too surprising, I concluded. I thought that maybe I should attend one of these conferences in the future, and awaited the announcement of the 2016 Conference location. And, with a rising level of fanfare, there it was: TAMPA! WooHoo! That's only a 3.5 hour drive from my home base in North Florida, so I was immediately psyched. 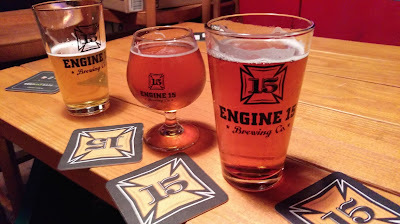 Engine 15 Brewing Company: Enjoy the Ride! 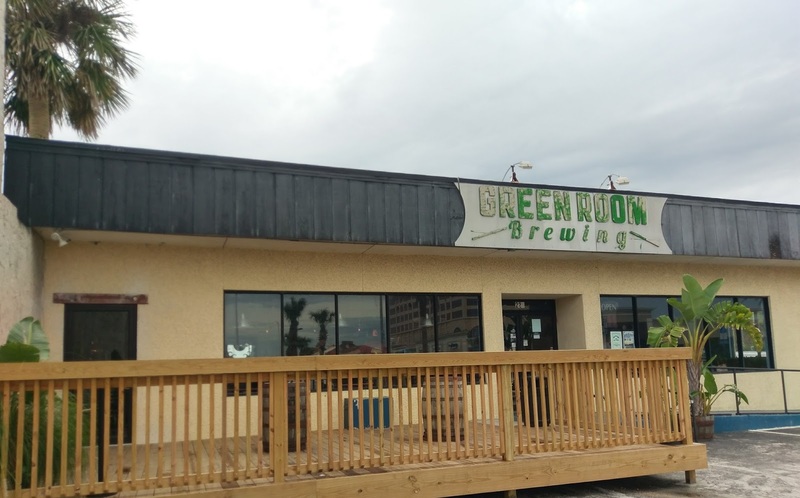 When co-owners Luch Scremin and Sean Bielman opened Engine 15 Brewing Company six years ago in Jacksonville Beach, I wonder if they had any idea about the ride they would take: from homebrewing on a one-barrel system, to opening a brewpub in a shopping center on Beach Blvd. with a 5-barrel brewhouse system, to acquiring a warehouse production facility with a 20-barrel system and an outdoor beer garden, to a mead and cider operation. The brewery celebrated its Sixth Anniversary this past week (July 2), and it's clear that this Engine is on the move! Five years ago: After moving to North Florida from the Midwest (five years ago this past April), I began reading about Green Room Brewing, a new microbrewery opening in Jacksonville Beach. Not too surprisingly, this sounded like a pretty cool place! 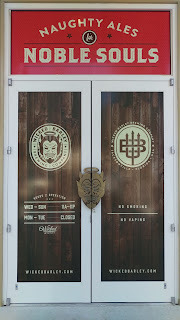 It ended up being the first craft brewery in the area that I visited, and, five years later, I'm drawn to the surf-and-beach-inspired tap room and some of the most creative beers you will find anywhere. Two words, that's all you need: THE PLAYERS®.